The third-ranked Tennessee basketball team enters Southeastern Conference play riding a seven-game win streak and undefeated at Thompson-Boling Arena. One of the hottest teams in America, the Volunteers have 10 remaining home games—five of which are already sellouts. All tickets have been sold for UT’s home clashes with Georgia (Jan. 5), Alabama (Jan. 19), West Virginia (Jan. 26), Florida (Feb. 9) and Kentucky (March 2). 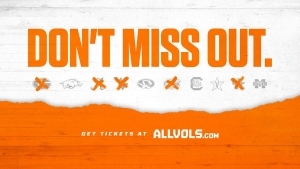 Fans interested in experiencing the action at Thompson-Boling Arena as the Vols look to defend their SEC Championship are encouraged to purchase tickets soon, as extremely limited stock remains for upcoming showdowns against Arkansas (Jan. 15), Missouri (Feb. 5), South Carolina (Feb. 13), Vanderbilt (Feb. 19) and Mississippi State (March 5). Tickets can be purchased online at AllVols.com, by calling 1-800-332-8657 or by visiting the UT Ticket Office at the northwest corner of Thompson-Boling Arena (8:30-5:00 p.m. ET). For games that are already sold out, Tennessee’s official ticket resale marketplace is Vivid Seats, which offers a 100% buyer guarantee and secure transactions backed by full-service customer care. 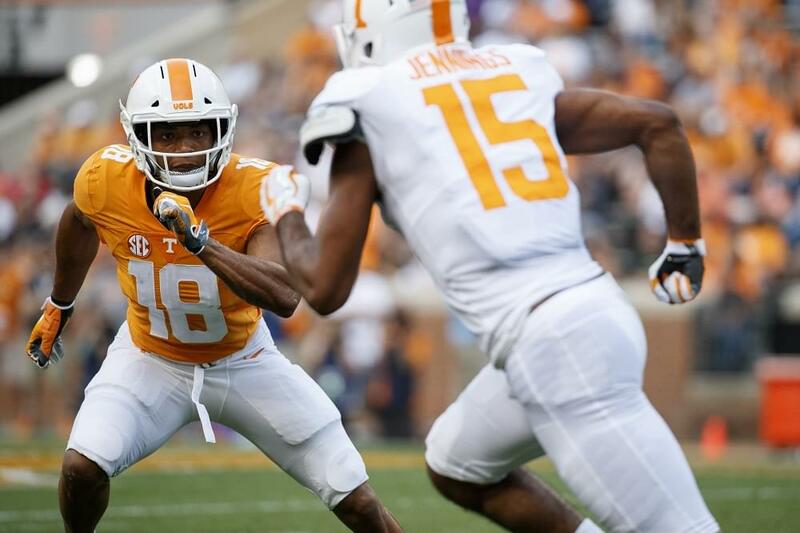 Tennessee’s average home attendance currently stands at 16,976, which ranks sixth nationally. Fans who do not have a gameday parking pass are encouraged to park on the Ag Campus, entering on Joe Johnson Drive via Neyland Drive. For all basketball games, Tennessee Athletics provides free parking and shuttle service to and from Thompson-Boling Arena from this location. The shuttle begins two hours prior to tip-off and runs one hour post-game. Shuttle pickup on the Ag Campus is off of Joe Johnson Drive. All shuttles are fully accessible for those with disabilities. Free gameday parking also is available in the G-17 garage on Lake Avenue, a 10-minute walk from the arena. For all games, fans are encouraged to arrive on campus early to allow ample time for parking and arena entry, as crowds are expected to regularly exceed 20,000. Walk-through metal detectors are now in place and operational at all Thompson-Boling Arena entrances. Cell phones are generally the only item that should be placed in the bin before proceeding through the metal detectors. Keys may remain on your person. Tennessee’s Clear Bag Policy is still in place, and all bags are subject to search. Please be advised that these security measures may add time to the process of entering the arena, so fans are encouraged to allow additional time for entry. Patrons also are encouraged to bring only necessary items with them in order to ensure a smooth and timely arena entry. Click HERE for a video demonstrating proper arena entry procedure. There is signage and staff to help direct fans through the process at each entry point. Fans are reminded that Gate F at the southeast concourse is open as an entry game on gamedays. All gates open 90 minutes before tipoff for all men’s games. The Vol Shop has merchandise locations on the arena concourse between gates A-B and between gates E-F. The concourse also features numerous concessions options, including Calhoun’s, Dunkin’ Donuts, Petro’s, Papa John’s, Moe’s Southwest Grill, Great American Cookies, Roberto’s Italian Ice and Buckwild Kettle Corn. To reduce wait times, there are also portable concessions kiosks located throughout the concourse (sections 103, 106, 120, 124) that are ideal for grab-and-go purchases.